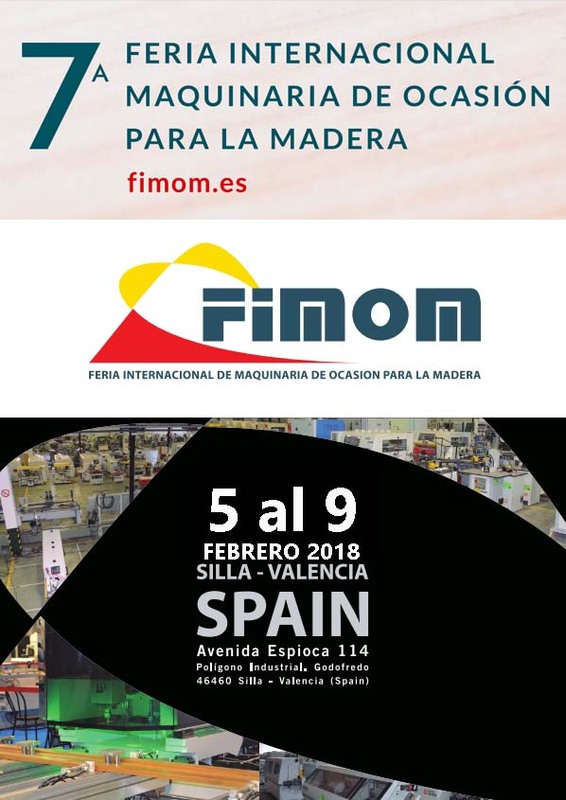 MAQUINARIA GIMENO convenes professionals of the wood and furniture industry to visit FIMOM, International Fair of Used Wood Machinery. Event will be held at its facilities in Silla (Valencia), from February 5th to 9th, 2018. There are 50,000 square meters of exposition and almost 4,000 units of machines of all segments of the wood processing and its derivatives, reconditioned and prepared in our workshops to return to serve the industry. Among these machines, we have an outlet with a selection of equipment with less than ten years of activity, whose guarantee for the buyer is superior. The fair is held simultaneously with the event CEVISAMA, FIMMA and MADERALIA, convened by FERIA VALENCIA also for the second week of February this year. MAQUINARIA GIMENO offers to those who wish to visit FIMOM a shuttle transfer permanent Feria Valencia – FIMOM, as well as a catering service to share a pleasant time and special offers and deals every day.